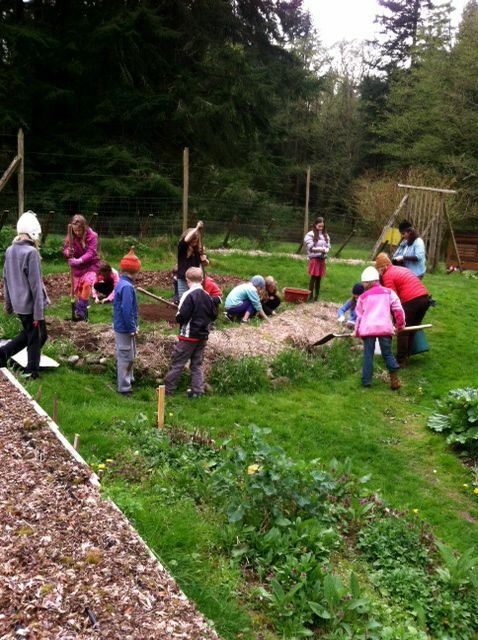 Earlier this spring we were lucky enough to have the third grade students from the Whidbey Island Waldorf School join us in the Westgarden with their teacher Kat Carlson. 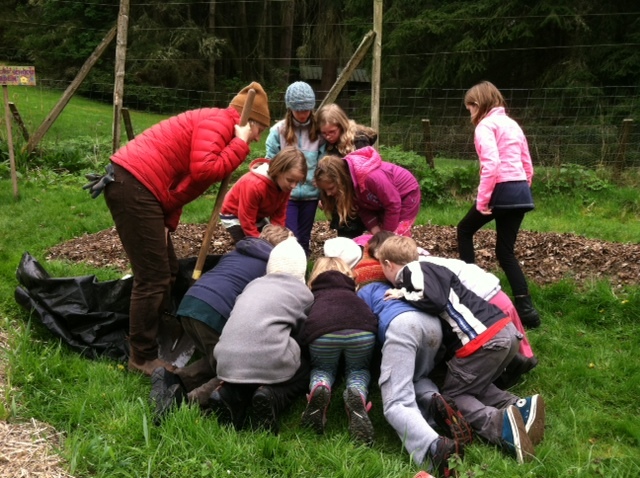 We started off the day digging up the cow horns that the students buried in the garden last fall as a biodynamic preparation. Within Biodynamics, the tradition of burying manure filled cow horns in the earth is thought to bring fertility to ayour garden. 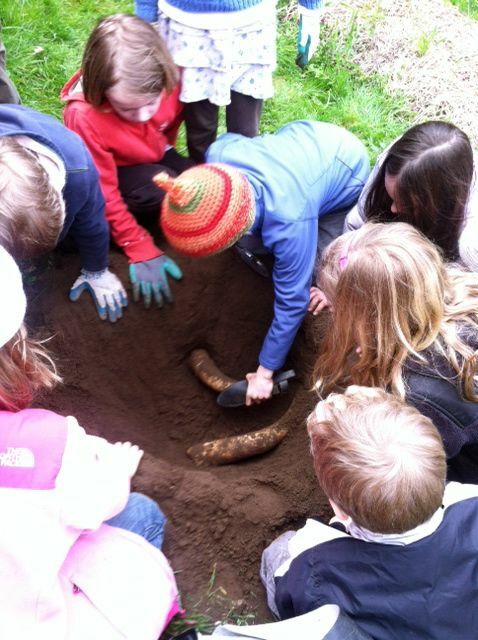 The students discovered that the horns were not yet ready to leave the ground to be turned into a special fertilizer so we put them back in the earth. We planted California Poppies, Bachelor Buttons and Calendula Flowers over top of them and we will check the horns again in the summer. The students also learned how to prepare a bed for planting and we collectively removed the bed mulch, weeded it out and transplanted our spinach and lettuce starts. We’ll see how well they grow this spring! A big thank you to Kat Carlson and her students for their help in the garden!